Come in – We’re bilingual! We are a bilingual educational institution (German/English) based in Berlin-Pankow with Kindergartens in two different locations and a Primary and Secondary School with a focus on mathematics and science. In our kindergarten, we ensure holistic and age appropriate care which takes the individual capabilities and talents of the children into consideration. Our ambitious educational concept and immersive bilingualism is ideal preparation for the children to continue in our primary school. Under the roof of a distinguished, listed building, our bilingual primary and secondary school offers optimal learning conditions, where natural curiosity and individual needs can find their place from Grade 1 all the way through to Grade 10. Here, children and young people can learn in a calm environment, test themselves, develop their talents, deepen their interests, learn about cultural diversity and internalise languages. The time a child spends at kindergarten and school is an intensive and also incredibly important chapter in their lives and we would like to invite you and your child to spend this time with us in an international, caring and open community. 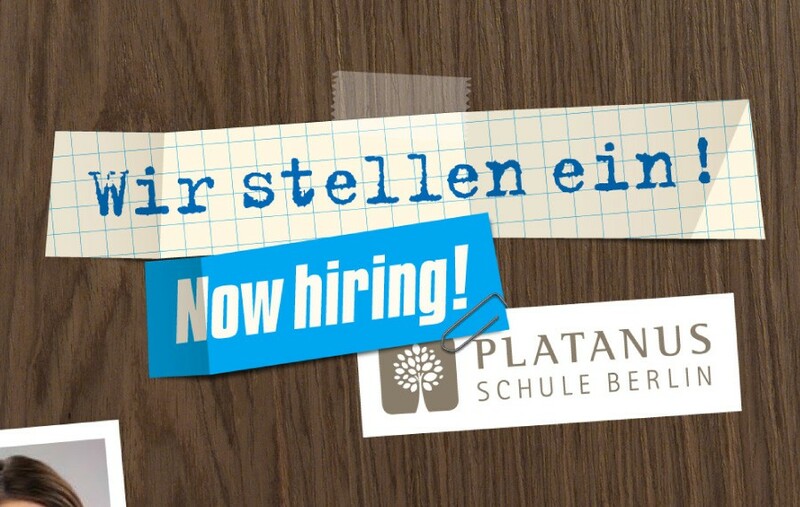 We are hiring now and for school year 2019/20! Your child can attend our bilingual Gemeinschaftsschule from Grades 1 to 10. With beautiful, bright rooms, small classes with max. 24 students, modern facilities as well as an engaged, international team, we strive to create a pleasant, creative learning environment at our school. We are located in the heritage listed Post Office building in Berlin-Pankow. Learn more about our school here. 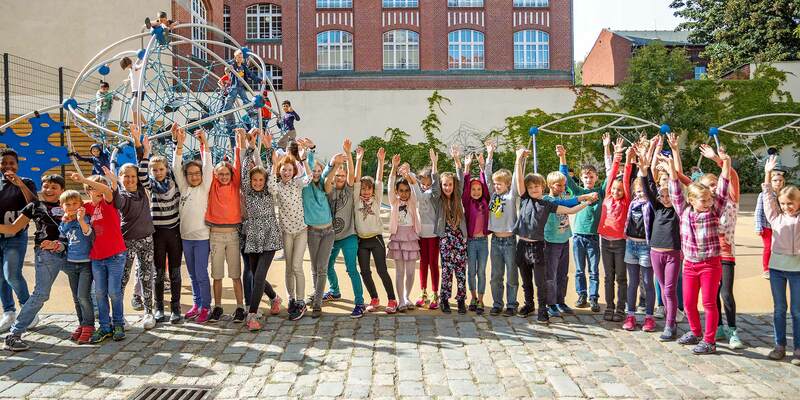 The nonprofit association Platanus & Friends is a group of parents, teachers and Erzieher*innen who work on a voluntary basis in the interests of all Platanus children. Platanus & Friends support teaching projects and clubs, organise events and celebrations and are committed to making both our school and kindergartens look beautiful. Learn more about our Parent’s Association here. We encourage an early education in German and English in our everyday kindergarten life and make our children aware of nature, the environment und numbers through play. Our kindergarten and primary school work together for the best possible preschool development for our children. Learn more about our kindergarten here. Learn more about our Kindergarten here.